Northen Blue, LLP has been providing superior legal services for more than 20 years At Northen Blue, our attorneys provide highly trained and experienced legal counsel in several areas of law. The diversity of our legal experience enables our firm to pool our resources together to meet any needs our clients face, ensuring our clients receive the most comprehensive legal rights and protections available to them. Our clients get the benefits of representation by experienced lawyers who combine the resources offered by larger firms with the communication and personal contact of a smaller firm. -Our Bankruptcy and Restructuring attorneys represent debtors, creditors, committees, and trustees in Chapter 7 and Chapter 11 bankruptcy proceedings, including complex bankruptcy litigation. -Our Business Law attorneys advise business owners on all issues relating to their business, from initial formation to sale or dissolution, with a focus on helping clients avoid disputes and succeed in their business goals. -Our Civil Litigation attorneys are experienced trial lawyers representing our clients in a variety of legal disputes including contract disputes, commercial litigation, and other general civil litigation in state and federal courts in North Carolina as well as other jurisdictions around the United States. -Our Land Use attorneys provided knowledgeable advice and counsel on all areas of development, dispute resolution, and litigation. The attorneys at our AV-rated firm are assisted by a highly trained and qualified support staff, including several North Carolina Certified Paralegals. The firm represents clients in North Carolina as well as other jurisdictions throughout the United States. John Northen focuses his practice on financial restructuring for businesses, both in workouts and in Chapter 11 proceedings, representing companies, individuals, secured creditors, committees, and trustees. He has particular experience handling complex litigation in bankruptcy courts and appeals as well as in business acquisitions. John is certified as a specialist in Business Bankruptcy Law by both the American Board of Certification and the North Carolina State Board of Legal Specialization. John has been named the Best Lawyers' 2013 Raleigh Bankruptcy and Creditor Debtor Rights / Insolvency and Reorganization Law "Lawyer of the Year." John was inducted as a Fellow of the American College of Bankruptcy in 2012, only one of 36 national nominees inducted into the 23rd Class of College Fellows at a ceremony held at the United States Supreme Court. J. William (Bill) Blue, Jr.
Bill Blue is an experienced trial lawyer who focuses his practice in all areas of civil litigation, with particular focus in the areas of commercial litigation, fraud and misrepresentation claims, personal injury, motor vehicle collisions, and professional negligence. Bill served as a member of the American Bar Association's Committee on Medicine and Law, the North Carolina Bar Association's Committee on Continuing Legal Education, and the Board of Editors of the North Carolina Advocates for Justice. He has been a frequent lecturer at Continuing Legal Education seminars sponsored by a variety of organizations. He has held various offices in state, district, and local bar organizations. Bill has appeared as special counsel in more than two dozen jurisdictions across the United States. David Rooks represents clients in all matters related to land use, including development and litigation, as well as commercial real estate, commercial litigation, and business law. 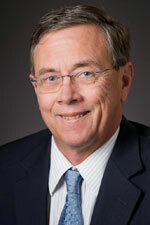 David served as an adjunct professor for the School of Business of the University of North Carolina in 1986 and as Orange County Attorney from 1976 to 1978. 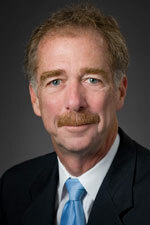 He was chairman of the Litigation Section of the Orange County Bar Association from 1987 to 1998 and is a member of the North Carolina Bar Association's Sections on Real Property, Litigation and Land Use. 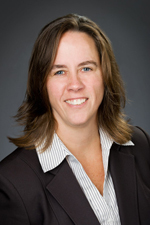 Vicki Parrott is a trial and appellate lawyer who focuses her practice in all areas of civil litigation, with particular focus in the areas of family law, bankruptcy litigation, and business litigation. Vicki is an experienced family law advocate who specializes in handling complex equitable distribution and family support cases. She also handles bankruptcy litigation arising out of Chapter 7 and Chapter 11 proceedings, including common avoidance actions and more complex contract and commercial litigation. 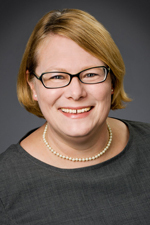 Stephanie Osborne-Rodgers is an experienced bankruptcy attorney who represents commercial debtors in Chapter 7 and Chapter 11 proceedings, including bankruptcy litigation; individual debtors in Chapter 7, Chapter 13 and Chapter 11 proceedings; and creditors and creditors' committees in bankruptcy proceedings. She also provides workout representation outside of bankruptcy court and assists in collection work. Stephanie served as law clerk to the Honorable A. Thomas Small of the Eastern District of North Carolina, Bankruptcy Court from 2000 to 2002. She also was an instructor for North Carolina Wesleyan in 2001, North Carolina A&T State University in 2000 and Forsyth Technical Community College in 1999. Stephanie is a member of the Bankruptcy Section of the North Carolina Bar Association and the Phi Delta Phi legal fraternity. JP focuses on business bankruptcies, out-of-court workouts, bankruptcy litigation, and general civil litigation. He is driven by the desire to help struggling businesses recover from financial trouble, to the benefit of the owners, employees, creditors, and local economy. 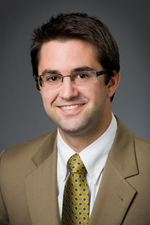 JP grew up in Indiana and attended Indiana University for both undergraduate and law school. Upon graduation, he received the Sigmund J. Beck Award for outstanding achievement in the study of bankruptcy law. He was inducted into both the Order of the Coif and the Order of Barristers. JP served as law clerk to the Honorable William L. Stocks and the Honorable Thomas W. Waldrep, Jr., both of the U.S. Bankruptcy Court for the Middle District of North Carolina, from 2009 to 2011. 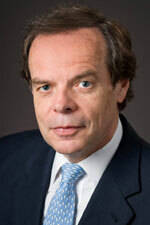 He joined Northen Blue because of the firm's excellent reputation in the practice of business bankruptcy law. JP has spoken about bankruptcy law at the Annual Middle District of North Carolina Bankruptcy Seminar and the NBI Nuts and Bolts of Bankruptcy Seminar. Outside of the office, JP can usually be found cheering for Coach Tom Crean and the Indiana Hoosiers basketball team or enjoying time spent with his wife, Lindsey.